This has been a big day for news on the upcoming Justice League movie. Several media outlets, Screen Rant included, recently visited the set at Warner Bros. Studios Leavesden, in an effort by Warner Bros. and DC to get the press and the comic book movie audience back on their good side following the lackluster reception and performance earlier this year by Batman v Superman: Dawn of Justice. Reporters present on the junket got a look at the film’s “War Room,” which contains concept art, costumes, props and more. And among numerous revelations about what we can expect from Justice League, that room contained a clue about future casting in the DC universe, of a relatively familiar actor from Game of Thrones. This had yet to be reported or officially announced, and the actor wasn’t even listed on the wall of confirmed supporting actors in the War Room while we were on the set of Justice League, but Norwegian actor Kristofer Hivju seems to have a pretty important role in the DCEU, even if it’s one with minimal screen time. Hivju, best known as the lovable Wildling leader Tormund in Game of Thrones, was depicted as playing the Ancient Atlantean King in art of the civilization from thousands of years in the past – back when Atlantis was still above water. There was also art of the ancient Amazonians and humans as well from this era, when each were given Mother Boxes, but in the present day, we also saw other art of Aquaman near the throne of Atlantis were the ancient king is just a skeleton. UPDATE: According to The Tracking Board, Hivju's role in the movie has been confirmed. UPDATE #2: IGN is now reporting that Warner Bros. has refuted the claim, after previously confirming it. If the DCEU is going to win back the favor of fans and critics, it will need to do things differently with Justice League, and it sounds like that's the plan. The movie will be about the “purpose” rather than the “burden” of being a superhero. We're also going to see some interesting changed to Batman's personality and outlook, and in general the ensemble movie won't be quite as dark as Batman v Superman. It appears the filmmakers have heard all the criticisms of the previous film, and are keeping them in mind when planning the future of the DCEU. Something else that it looks like Warner Bros. has chosen to do? Cast interesting actors. 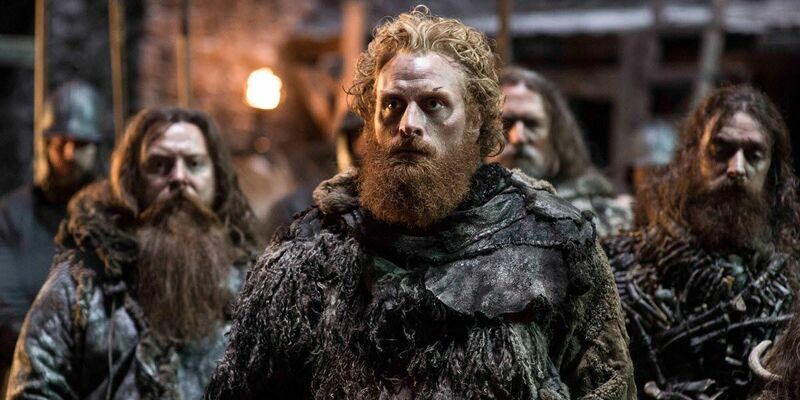 Kristofer Hivju may not be a household name, but he’s a strong screen presence who can hold his own in an elaborate battle sequence - as was demonstrated this past Sunday in Game of Thrones’ "Battle of the Bastards."